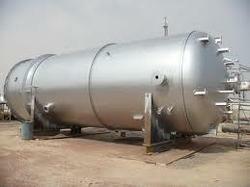 We manufacture and supply some of the best quality Industrial Storage Tank – stainless steel, mildsteel and aluminium. 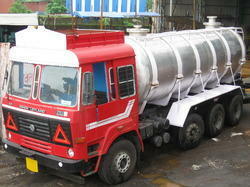 These highly acknowledged tanks are fabricated using supreme quality raw materials. Our dedicated and highly skilled technicians make these tanks under stringent quality parameters of international specifications. Tank Material STEEL / METAL . We are manufacture and supply the finest quality MS, ALUMINIUM, AND SS Water Storage Tank.from 50 liter capacity to 300000 liter capacity. These Horizontal Water Storage and Water Storage Vertical type tanks are fabricated using finest grade raw materials under stringent supervision of our team of experts, ensures excellent results. These low cost tanks are available in numerous models with different specifications and also in customized sizes according to customer’s requirements. Specially designed to thwart corrosion and settlement of impurities, these are durable, light weight and super strong. Storage Tanks, Transport Tankers and Reactors for Dilute Nitric Acid, Milk & other Chemicals. Material SS316, SS304,mild steel ,alluminium . Storage Capacity As per client requirement . Item Code: 2KL-10KLWith the help of our procuring agent and the hardworking of our team of development and research, we are able to supply wide collection of Chocolate Storage Tank to our respected clients. These Chocolate Storage Tanks are widely demandable by all our customers for its durability and reliability. These Chocolate Storage Tanks are used for storing chocolates in various industries. High quality raw materials are obtained at the time of manufacturing these items. Moreover, high tech machines are used. Seven Star Engineers and Fabricators are one of the major manufacturer of Ntric Acid Aluminiuim Tanker of various capacity. It is specially used for the storage of Nitric Acid. 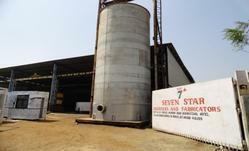 Seven Star Engineers and Fabricators Manufacture as per the buyers requirement. 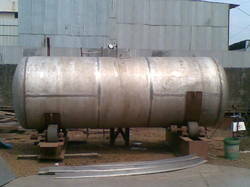 We manufacture quality range of acid storage tanks for our customer that is available in sturdy construction used for storing acids in diverse industries, these tanks can be customized in terms of size as per the specific requirements of our clients. 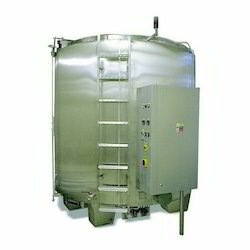 Our tanks are known for high impact strength, abrasion resistance and leak proof. We have achieved greater expertise in the sphere of manufacturing a wide range of tanks that are used to store acids in diverse industrial applications. Based on the specification, detailed by our clients, we can also provide customized solution, so that our clients set the desired product for particular application. We have Chemical \ Acid storage tanks (Cylindrical \ Vertical) for our clients, which is developed using modern manufacturing techniques, having best raw material base. Our range is durable and easy to maintain. We are glad to present wide collection of premium qualityHorizontal Milk Storage Tank to our valuable customers. 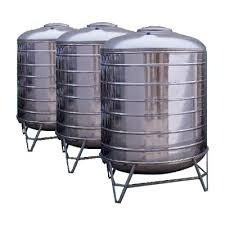 You can avail these Horizontal Milk Storage Tank from us at affordable prices. These Horizontal Milk Storage Tanks are made out of high quality raw materials with the help of high-tech machines and by applying advanced methods under the stringent supervision of our team of professionals. These Horizontal Milk Storage Tanks are used for storing milk with capacities of 15 KL, 10 KL and 20 KL. 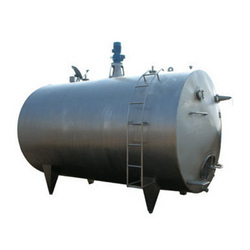 We manufacture quality range of FO Storage Industrial Tank for our customer , these tanks can be customized in terms of size as per the specific requirements of our clients. Our tanks are known for high impact strength, abrasion resistance and leak proof.